Eduloan Blog: Studying A B.Com – What Does It Mean And What Can You Do? Studying A B.Com – What Does It Mean And What Can You Do? Many prospective and current students are talking about studying a B.Com. But what does that mean? Should you be studying it? What career can you follow if you study a B.Com degree? This week we take a look at the B.Com degree, answering your questions and looking at how this degree can unlock your potential! What does B.Com stand for? A B.Com programme offers you the opportunity to become a public or private sector expert, equipping you with the knowledge and skills to focus on economics and business management. What careers options are available to B.Com graduates? Career options for B.Com graduates are plenty and not limited to only one or two career paths. 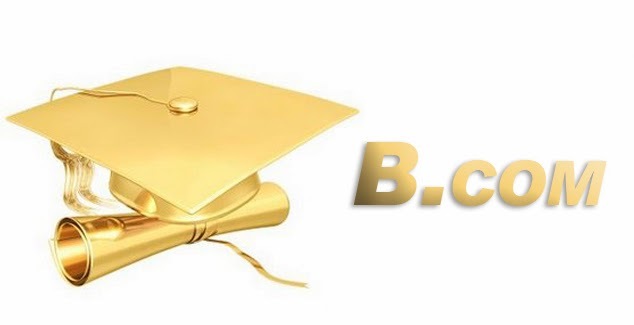 Many B.Com graduates become accountants, auditors, information system officers, taxation specialists, marketing managers or customer relationship officers. Your role in the company could also vary from management to business planning, development and quality management or marketing. You can practice in the public or private sector and your skill does not have to be applied directly to banking or auditing. If you are interested in the fashion industry, you can still apply your skill to it by becoming an accountant at a retail brand for instance. What are the benefits of studying a B.Com degree? Entrance requirements for a B.Com degree include Matric exemption. You will have to have Mathematics as one of your Matric subjects, plus two languages (of which one should be English). It is however very important to confirm the specific entrance requirements of the B.Com degree offered at your chosen tertiary institution. B.Com degrees are generally offered at universities and colleges. If you would like to apply to study a B.Com degree, you can contact us to find out how we can assist you with a loan to cover your tuition fees as well as a loan for your textbooks. And because we understand the importance of technology in the business and economic fields as well as how important it is for you to have access to information, we can also offer you a loan for a laptop or a tablet. Visit our website today to find out how we can assist you to unlock your potential as a B.Com graduate!